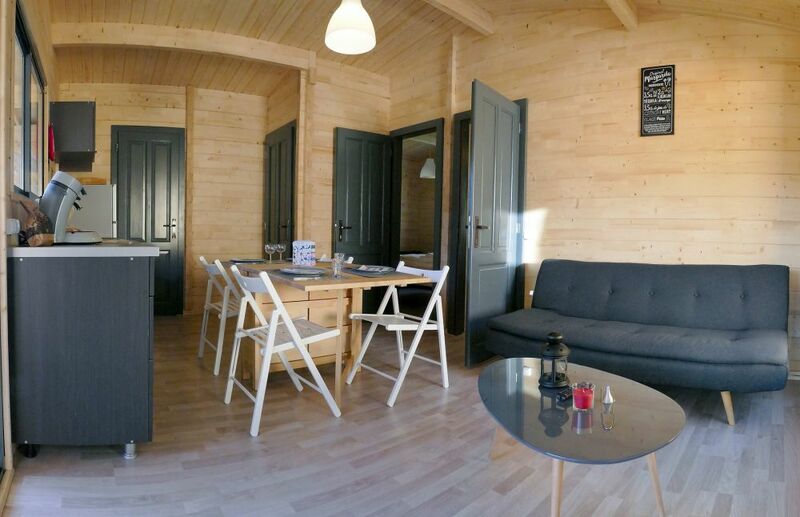 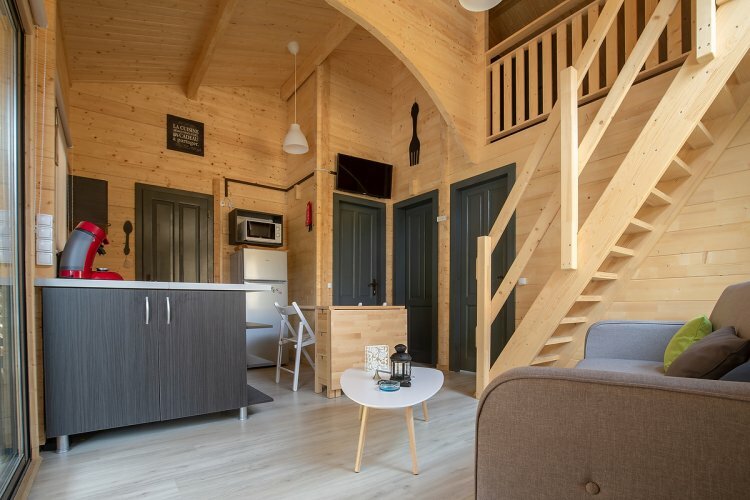 Wooden cabin 6 m2 for 1-2 people. 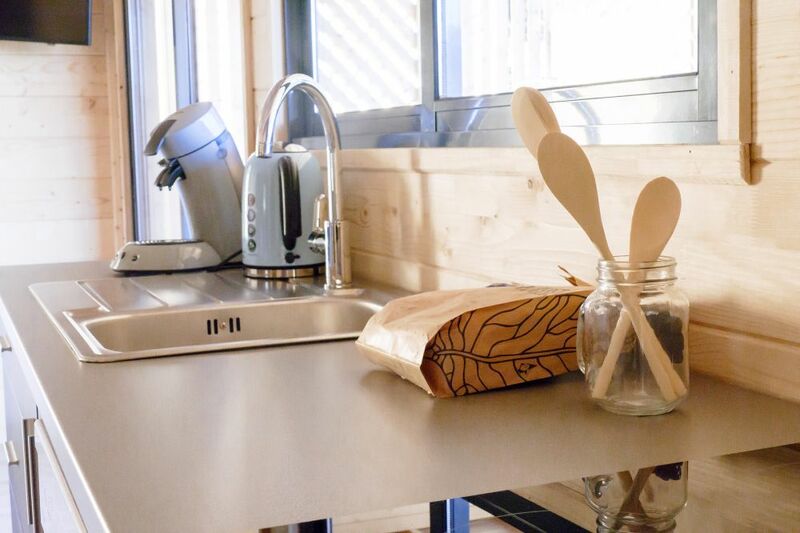 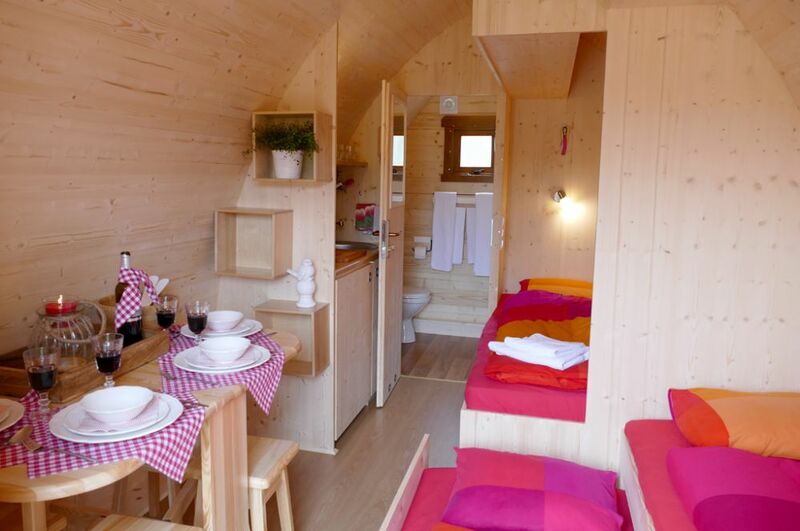 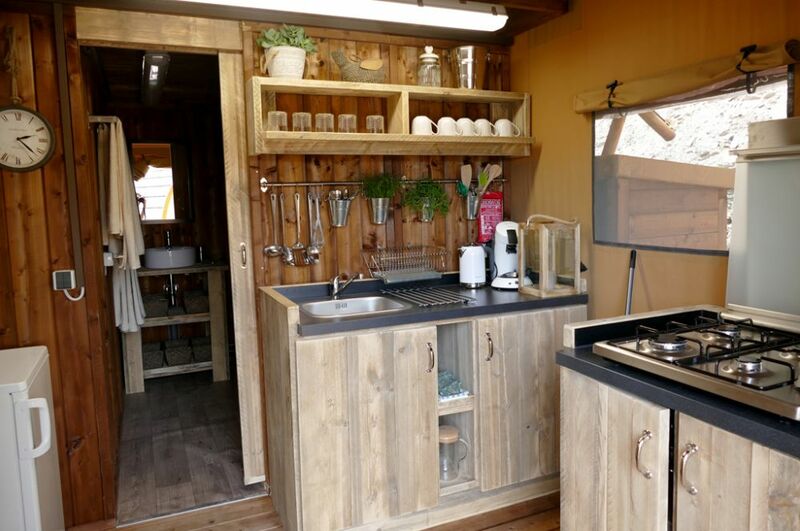 1 bedroom with storage space, a small kitchenette, electric heating, and a terrace. 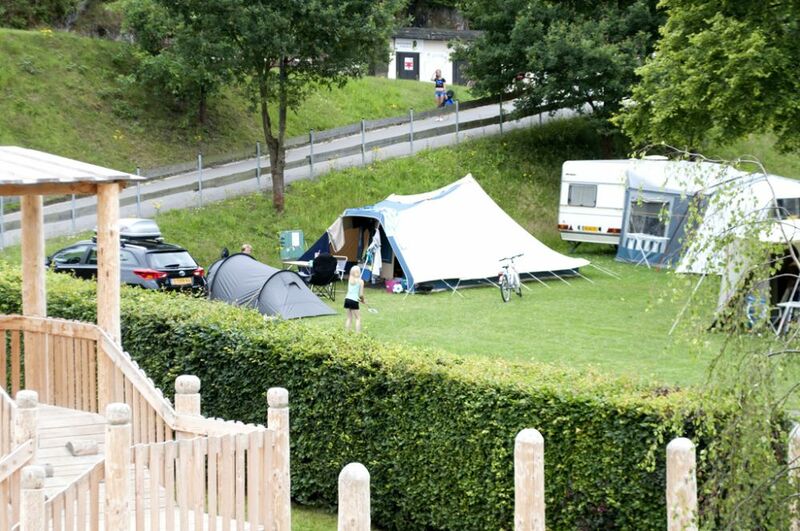 50 metres from a lavatory building. 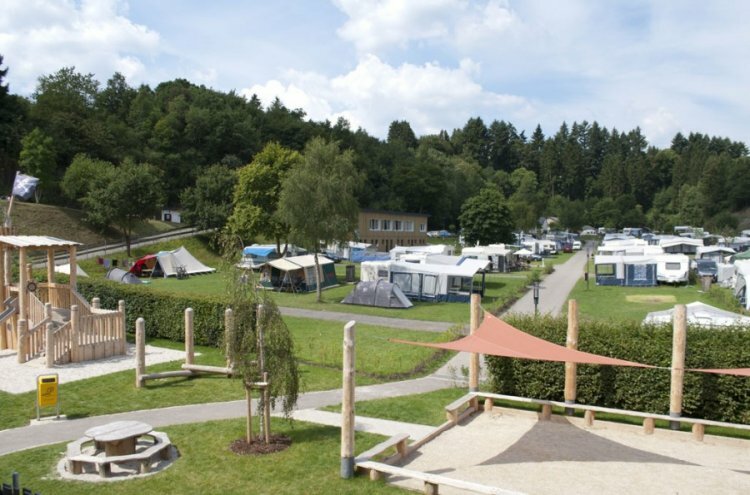 Fees include: Electricity, shower, water, heating, linen and towels, public swimmingpool entrance. 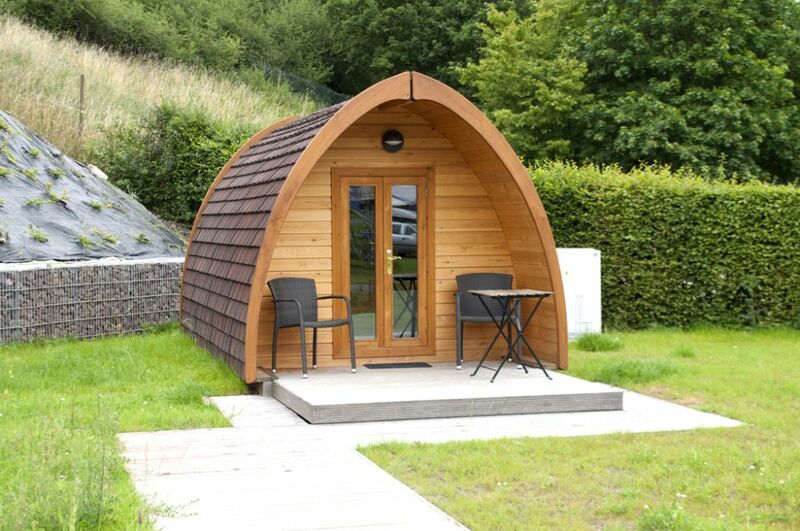 Wooden cabin 15 m2 for 1-4 people. 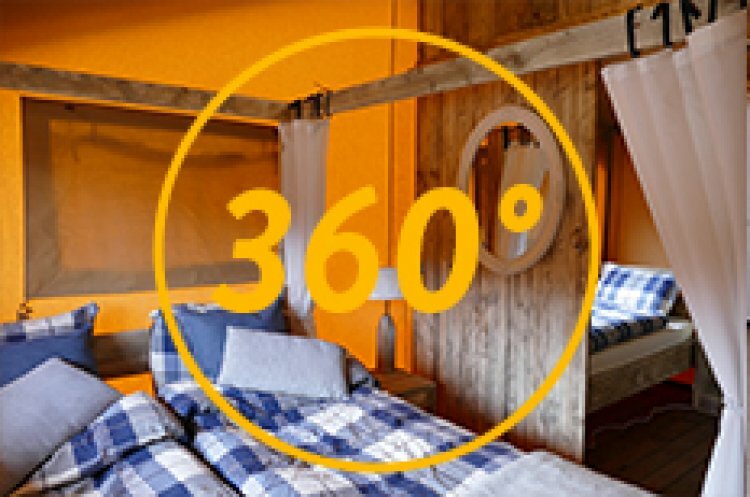 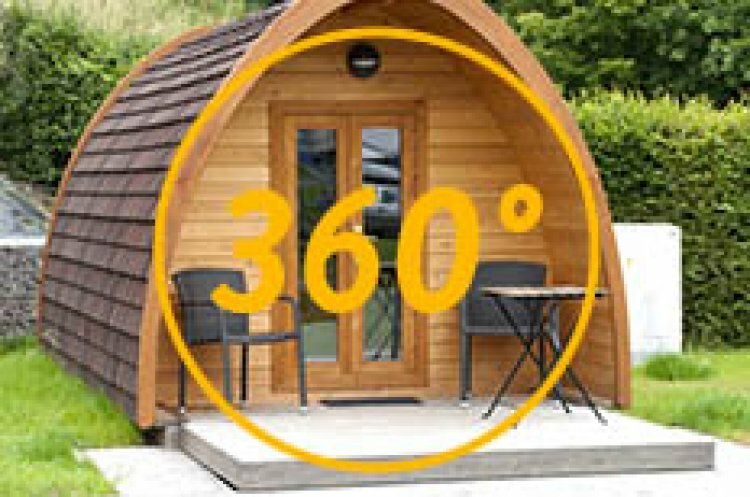 1 bedroom with storage space, a small kitchenette, 1 bathroom with toilet and shower, electric heating, and a large, partially covered terrace. 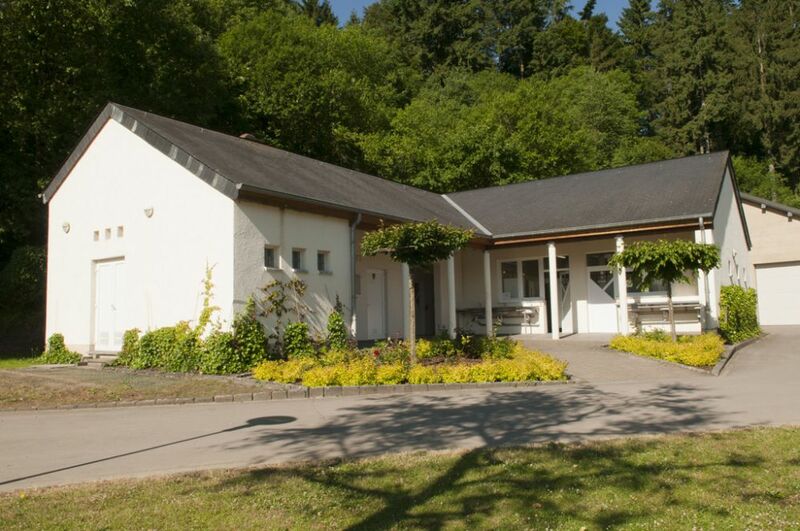 Fees include: public swimmingpool entrance, electricity, TV, heating, linen and towels. 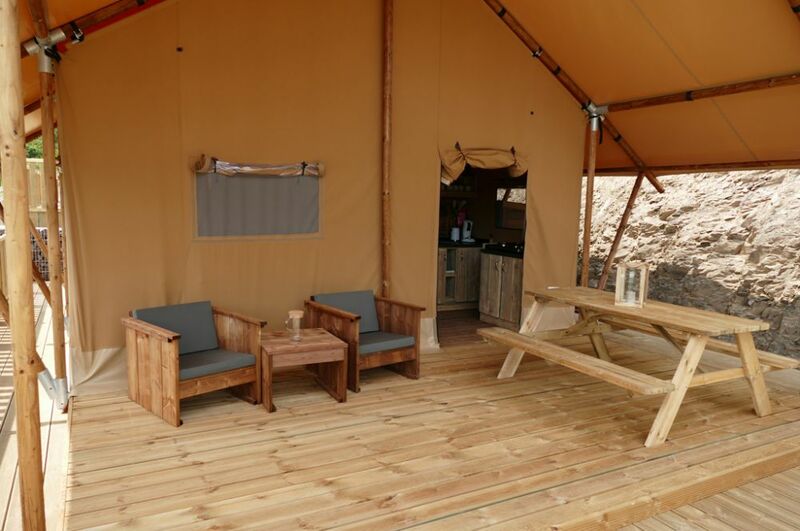 Luxuriously furnished tent in safari style, 43 m2 for 1-5 people. 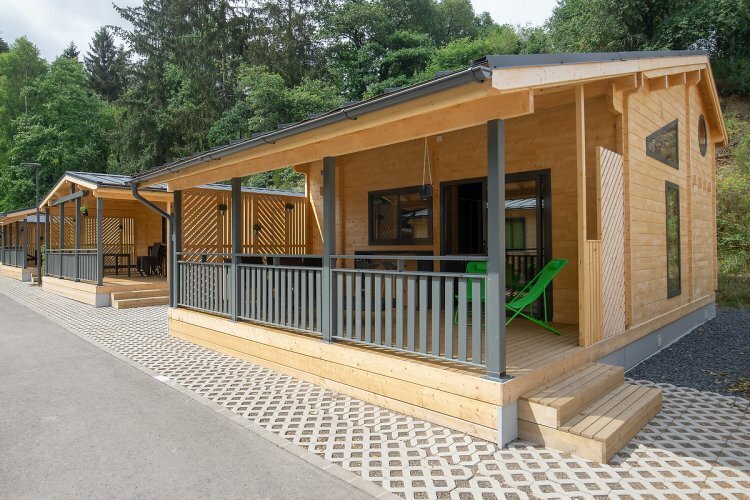 On the ground floor: 1 bedroom with storage space, a fitted kitchen, bathroom with toilet and rain shower, electric heating, and a large, covered terrace. On the first floor: 1 large bedroom with storage space. 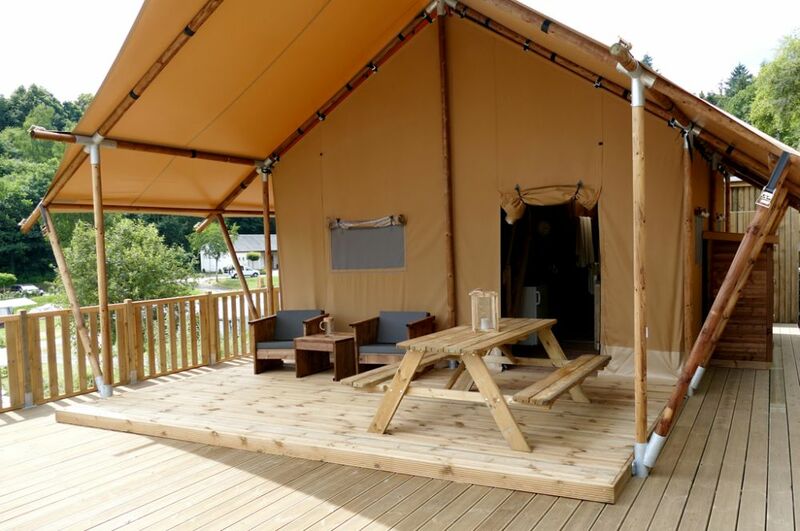 Luxuriously furnished tent in safari style, 50 m2 for 1-5 people. 2 bedrooms with storage space, a fitted kitchen, bathroom with toilet and rain shower, electric heating, and a large, covered terrace. 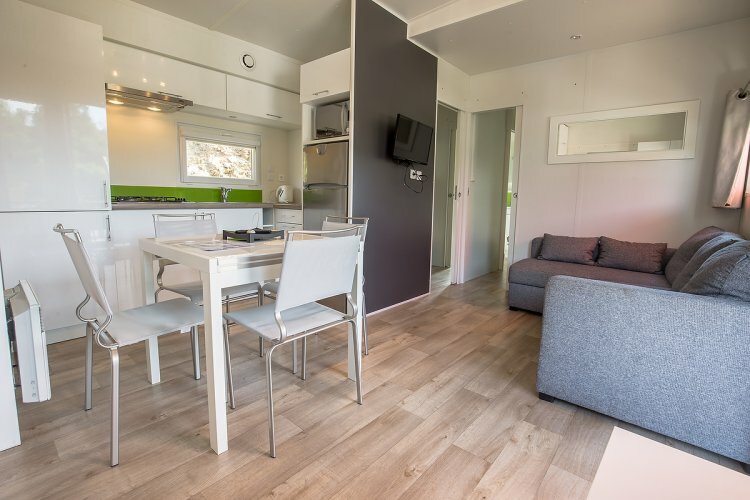 Well-equipped mobile home of 40 m2 for 1-5 people. 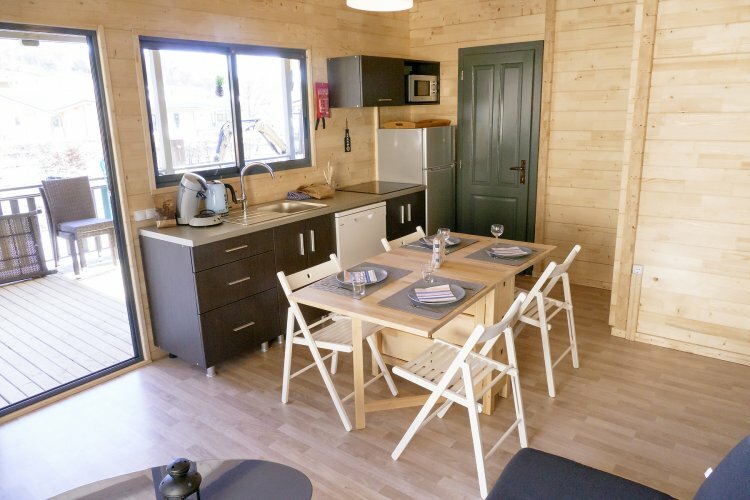 2 bedrooms with storage space, a fitted kitchen, 2 bathrooms with toilet and shower, electric heating, and a large, partially covered terrace. Fees include: public swimmingpool entrance, electricity, water, heating, TV, linen and towels. 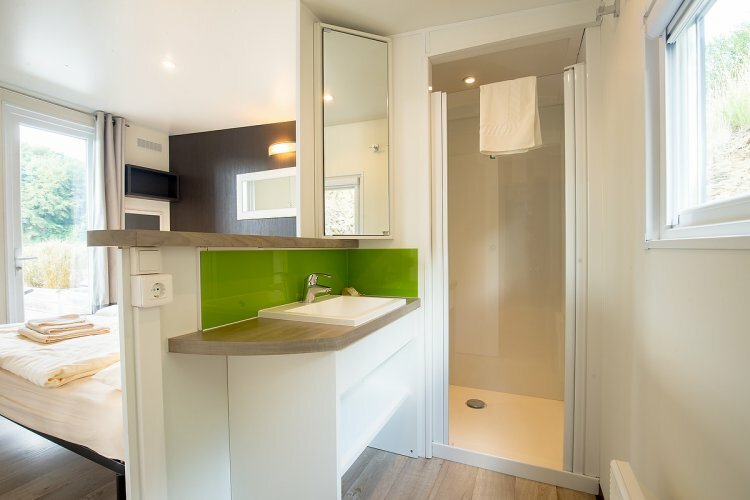 Well-equipped mobile home 40m2 for 1-6 people. 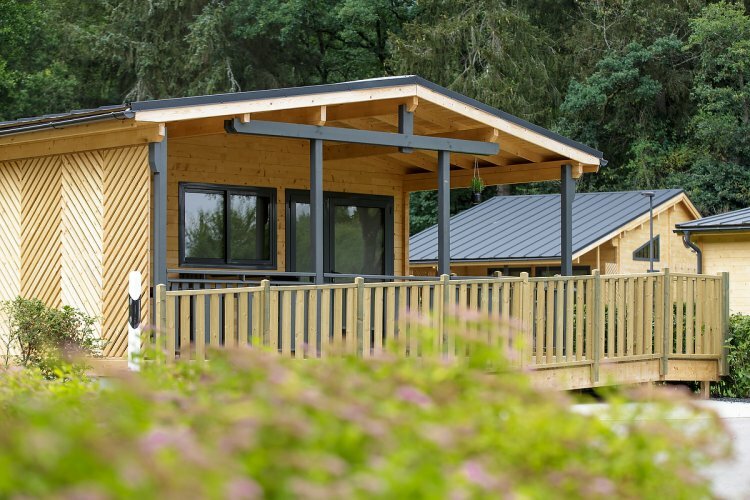 3 bedrooms with storage space, including 1 children's bedroom with bunk beds, a fitted kitchen, 2 bathrooms with toilet and shower, electric heating, and a large, partially covered terrace. Luxuriously furnished, air-conditioned mobile home 33 m2 for 1-5 people. 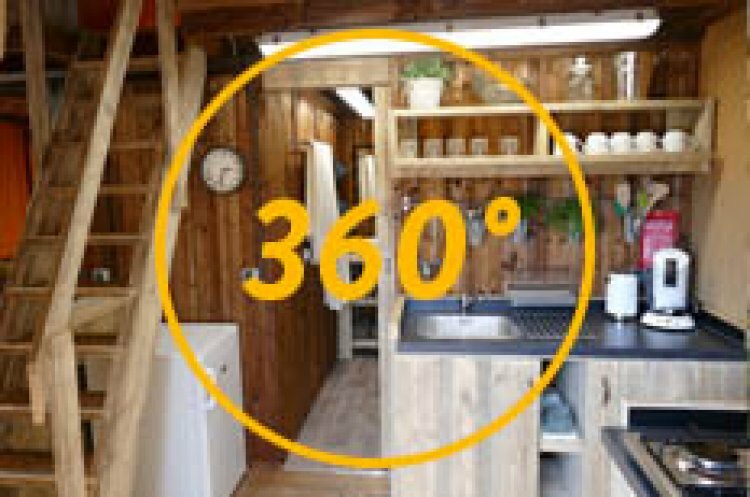 2 bedrooms with storage space, a fitted kitchen, 2 bathrooms with toilet and shower, electric heating, and a large, partially covered terrace. 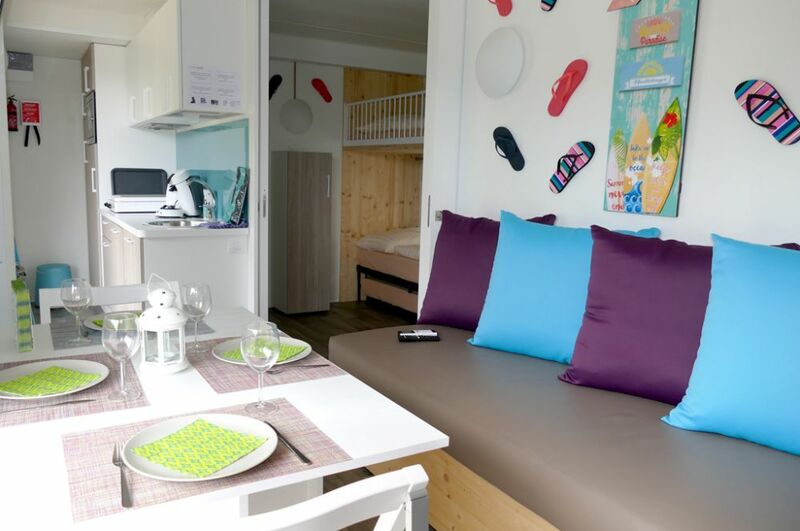 Fees include: public swimmingpool entrance, electricity, water, heating, TV, air conditioning, dishwasher, safe, linen and towels. 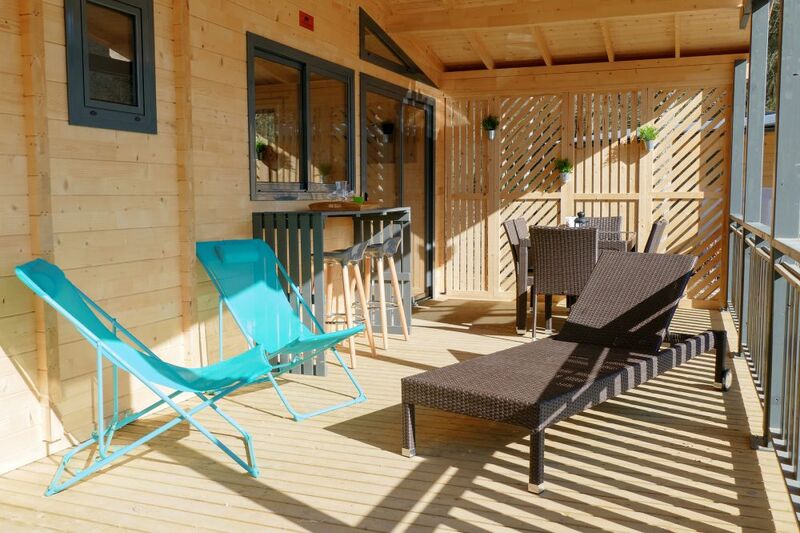 Fully equipped wooden chalet 35m2 for 1-4 people. 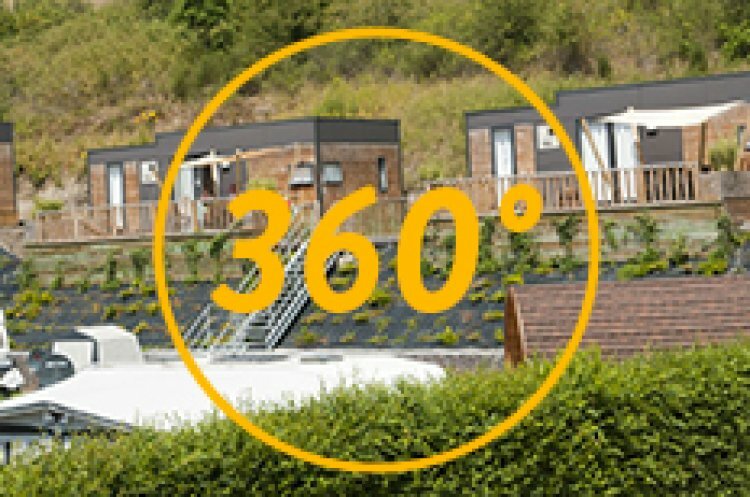 2 bedrooms with storage space, a fitted kitchen, bathroom with shower, separate WC, central heating, and a large, covered terrace. 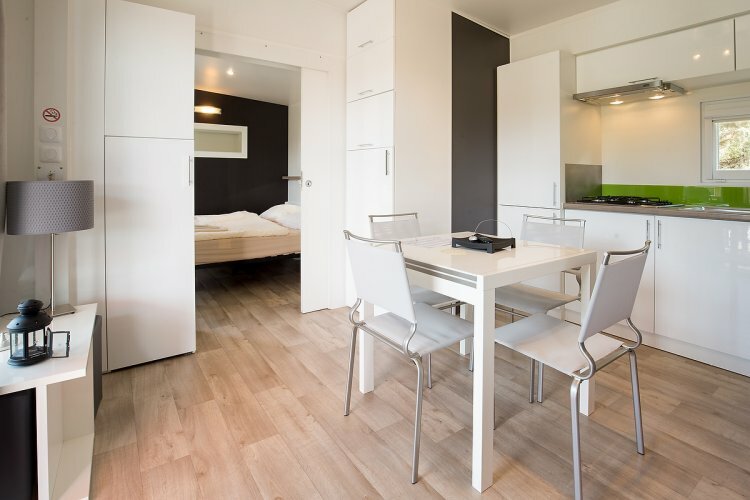 Fees include: public swimmingpool entrance, water, electricity, water, TV, heating, dishwasher, linen and towels. 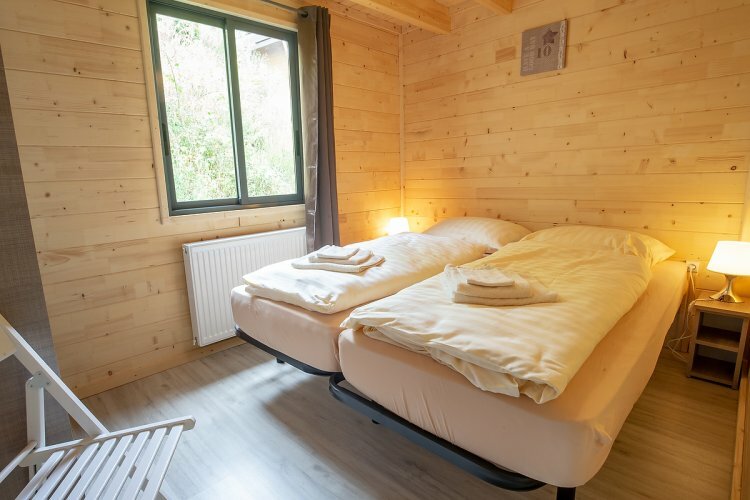 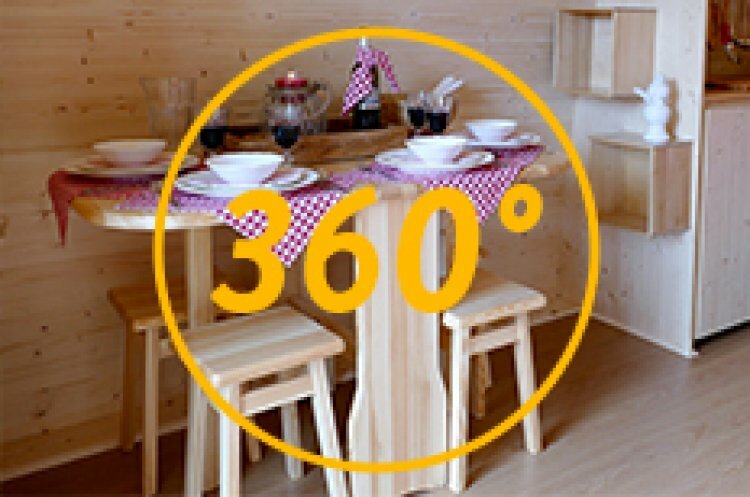 Fully equipped wooden chalet 35 m2 for 1-6 people. 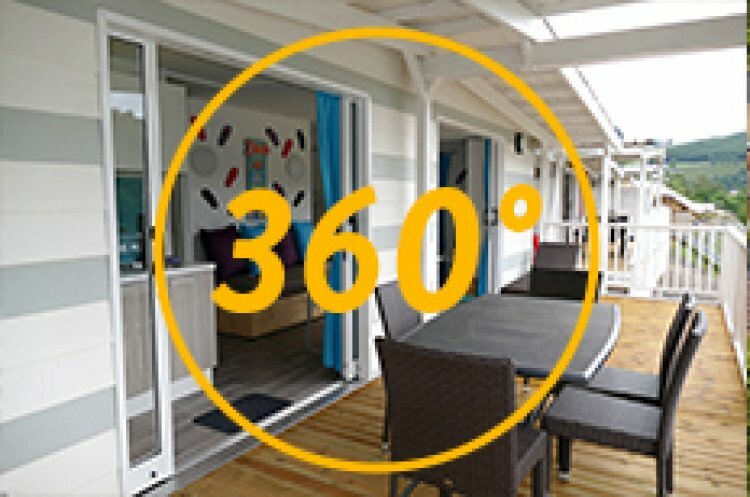 3 bedrooms with storage space, including 1 children's bedroom with bunk beds, a fitted kitchen, bathroom with shower, separate toilet, central heating, and a large, covered terrace. 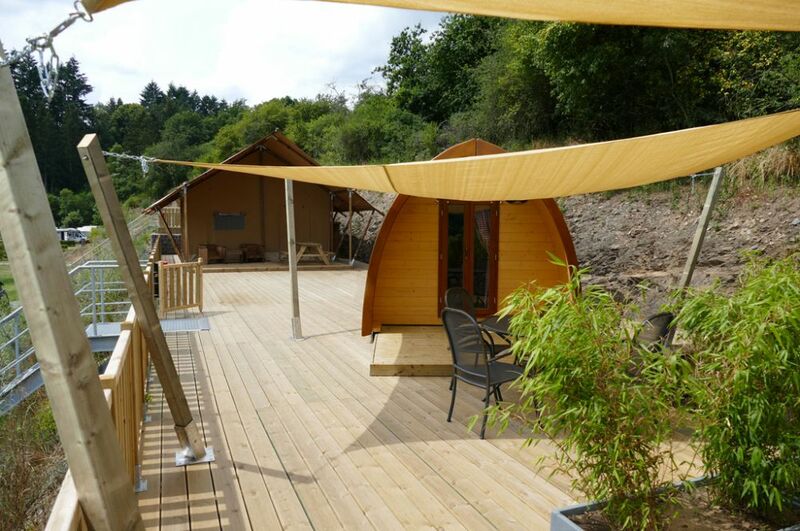 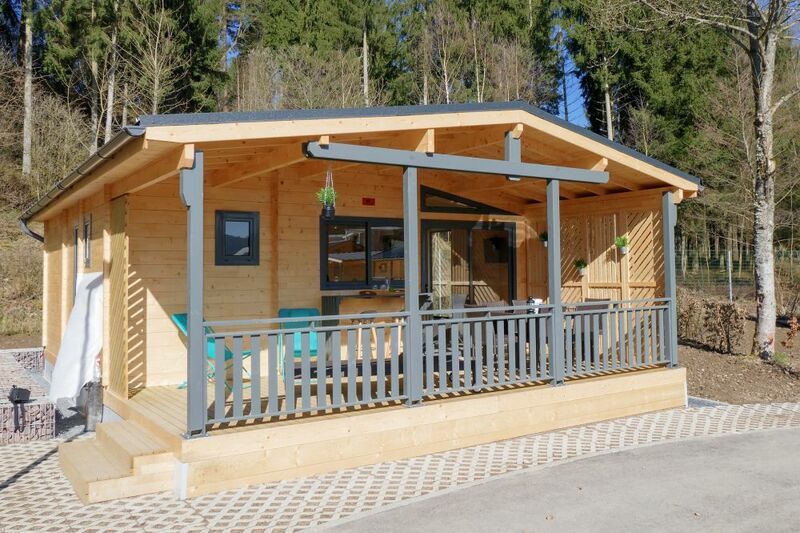 Fully equipped wooden chalet 52 m2 for 1-6 people. 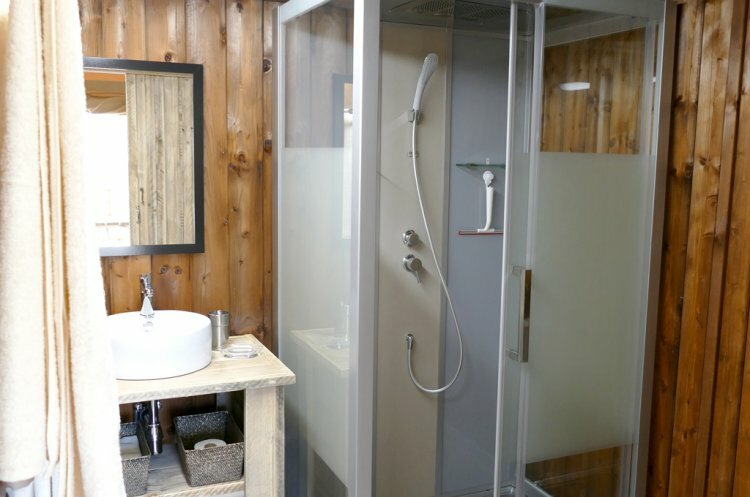 On the ground floor: 2 bedrooms with storage space, a fitted kitchen, bathroom with shower, separate WC, central heating, and a large, covered terrace. 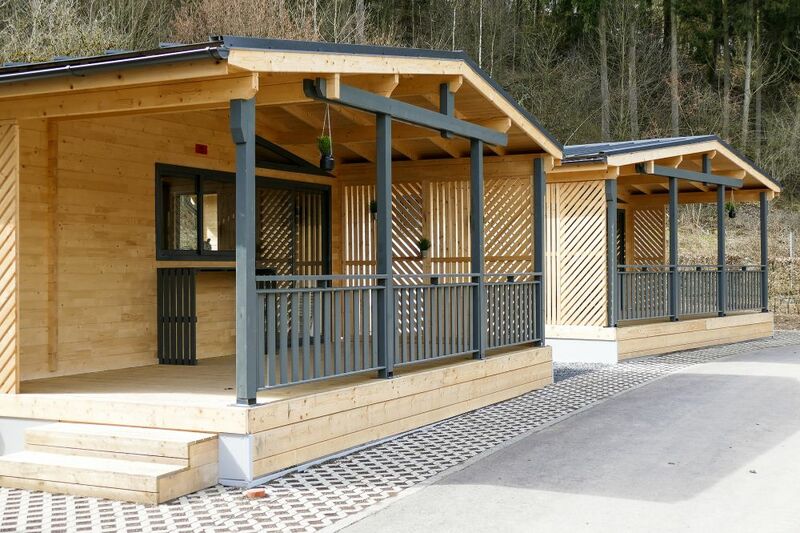 On the first floor: 1 bedroom with storage space, 1 small bathroom, and 1 rest and games room. Fully equipped wooden chalet 35 m2 for 1-4 people. 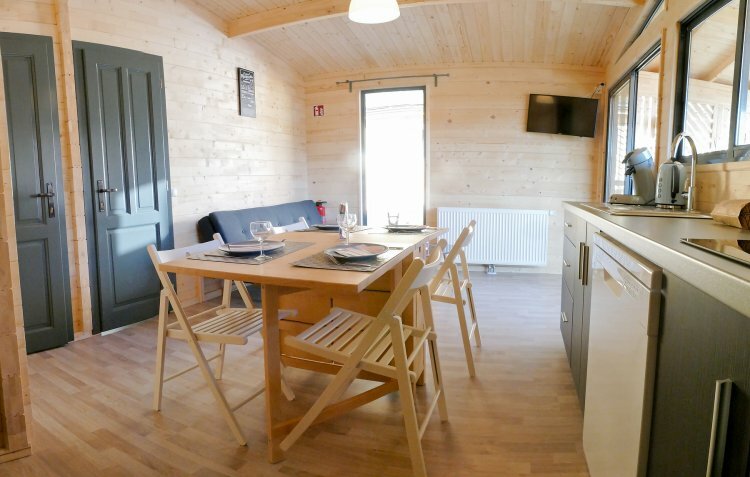 2 bedrooms with storage space, a fitted kitchen, bathroom with shower, separate WC, central heating, and a large, covered terrace. Accessible to people with disabilities and specially designed for people with reduced mobility. 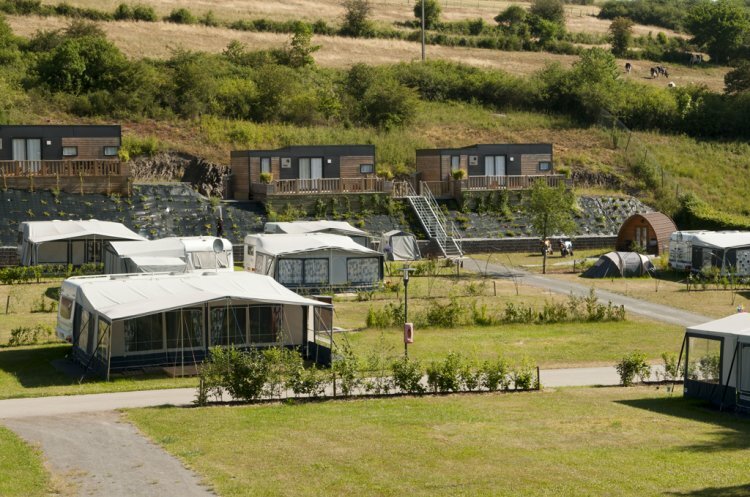 Pitch for 1 car + caravan, mobile home, or tent, with electricity and water. 2 buildings with lavatories on the campsite. 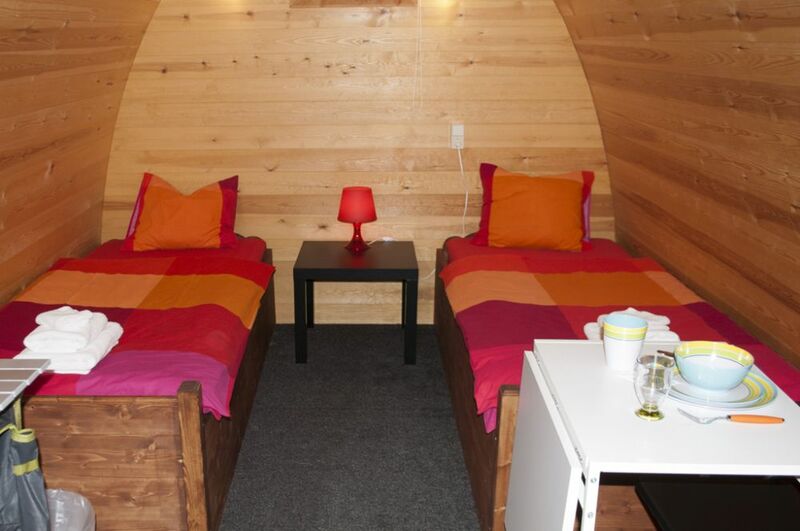 Fees include: electricity, shower, water, public swimmingpool entrance. 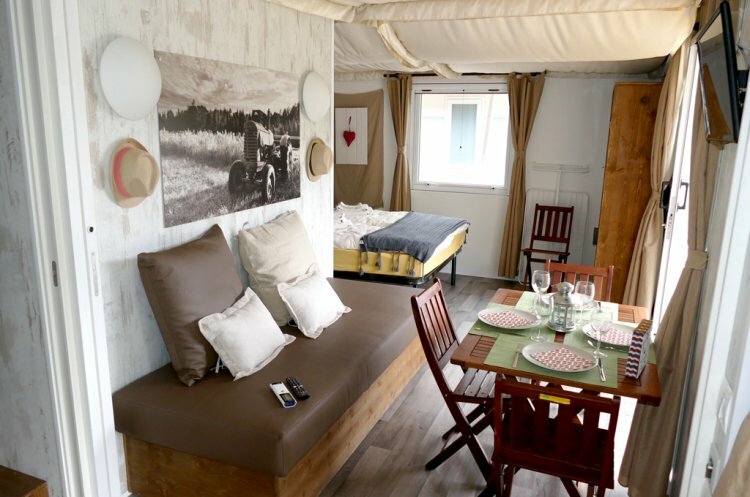 Pitch for 1 motorcycle + tent, without electricity and water. 2 buildings with ablution facilities on the campsite. Fees include: shower, water, public swimmingpool entrance.